Many people spend time thinking about what retirement might look like financially, and this is particularly important now, especially given the uncertain state of the markets, the economy and interest rates. Pension funds have been depleted by higher tax charges, reduced capital values, diminished rates of return and increased longevity. It is important to look at how much you need to save to secure your desired income and how your saving can be optimised for tax purposes. Time for a review? The applicable laws and tax regime change over time, as do economic circumstances and market-based solutions. 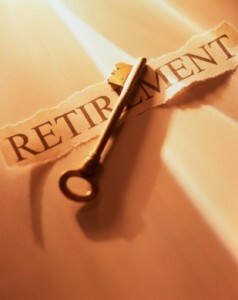 Retirement plans should be reviewed periodically to check their adequacy. Being able to retire when and how you would like, is likely to be one of your most important financial objectives at some point. But achieving this goal takes planning and perseverance. You could spend a third of your life in retirement. Will you find those years the golden times we all dream of, or a constant struggle to pay the bills? Your state pension is worth about £5,500 per year at current rates, assuming you have a full national insurance record. This now requires 30 years’ worth of contributions. A review of your state pension entitlement will also indicate what you may expect to receive as state second pension, State Earnings-Related Pension Scheme (SERPS) and graduated pension. According to government estimates, the gap between how much people are saving and how much they need to save to ensure a comfortable retirement is over £57 billion. It believes that 13 million people – nearly half the working population – are not saving enough for their retirement. In occupational schemes, the limit applies to both the employer’s and employee’s contributions. For final salary or defined benefit schemes, the contribution limit applies to the increase in the value of the member’s pension entitlement value during the year. In such an employment, a significant pay rise can result in a significant increase in entitlement value which could be caught by these new provisions. If you make a contribution above £50,000 or otherwise have your pension entitlement value increase by this amount, it may be possible to claim further relief under a transitional provision or by using an unused deemed allowance from one of the three previous years. If you do make a pension contribution above the limit, you will still get tax relief on the whole contribution at your highest rate of income tax. But you will also incur a tax charge on the amount of the excess. Salary sacrifice has been in the press frequently over the last few years and this remains a tax-efficient way of providing for your future. This approach saves both the employer and employee money through reducing national insurance contributions. This can save the employee income tax too. Even so, taking a reduction in take-home salary now in exchange for a longer-term benefit is not everyone’s first choice and should only be used in conjunction with proper financial planning. This technique may not be effective for high income individuals. SIPPS allow the freedom to select the allocation of your pension fund investments. This pension vehicle is regarded as attractive to many as a result of this investment flexibility. Subject to approval by the SIPP provider, SIPP investors can choose what assets are bought, leased and sold, and when those assets are acquired or disposed (although certain items, like classic cars and residential property are inadvisable because they are subject to heavy tax penalties). The investor may also enjoy ownership of the assets via an individual trust, so long as the provider or administrator is listed as a co-trustee. Potentially, SIPPS can even borrow 50 per cent of the net value of the pension fund to invest in further assets. We are happy to discuss this option with you. For those who want an alternative to pensions, or not to rely on them entirely, there are alternatives. Common savings and investment vehicles include ISAs, equities, bonds, insurance policies, property portfolios and fine art or other valuables. However innovative or unusual your retirement planning, it should stand the ‘reality and adequacy test’. Each of these alternatives has differing tax treatments so taking tax into account is an important aspect. Investment bonds remain much underused in retirement planning, despite having been around since the early 1970s. Some see them as complex, but they offer unique opportunities to aspiring retirees. Because they are offered by life assurance companies, the investment bond is considered a life policy and is not subject to capital gains tax. Instead, a tax liability arises on a chargeable event, such as the death of the owner or maturity. You can take a 5 per cent tax-free withdrawal every year, and excepting the events just mentioned, this can be carried forward for up to 20 years. It should be noted that this arrangement is a deferment of tax, not an exemption from tax. There is a tax advantage if you reasonably believe that you will be paying income tax at a lower rate at the end of the 20-year period. A higher-rate taxpayer would pay 20 per cent of the total gain (or 20 per cent on withdrawals above 5 per cent) with an additional rate taxpayer bearing 30 per cent. There is no further tax liability over and above this. With foresight, a taxpayer bearing either 40 per cent or higher rate of tax on income could enjoy 5 per cent tax-free withdrawals while working, and then on retirement, if in a lower tax bracket withdraw large sums without incurring a tax liability. Further, a policyholder in a higher tax bracket can transfer ownership of the bond to a lower tax-paying spouse. Because this transfer is made by deed of assignment, it is not a chargeable event. Sound advice is key to long-term Investment Bond planning. Many expect their business to provide a substantial injection of capital into their retirement pot. However, before you bank the proceeds from sale there may well be capital gains tax to consider. Entrepreneurs’ relief means that capital gains tax is due at 10 per cent on all qualifying gains up to the maximum lifetime limit. Entrepreneurs’ relief provides a reduction in capital gains tax on the disposal of an interest in a qualifying business or qualifying business asset(s) up to a maximum of £1,800,000. Advantageously for some, it has no minimum age requirement, and the business need only meet the qualifying conditions for one year. There is a maximum lifetime allowance for gains of £10 million. If your retirement will coincide with the disposal of business assets and your planning has not yet taken into account the tax impact, please discuss this relief and your tax planning with us. For further help and advice please contact us at info@mbmcgrady.co.uk.